Royally bred filly Shoals (2f Fastnet Rock x The Broken Shore, by Hussonet) continued what’s been a great season for champion sire Fastnet Rock with his two year-olds when remaining unbeaten to take out the Group III VRC TBV Thoroughbred Club Stakes at Flemington on Saturday. Impressive when winning on debut at Seymour on February 21, the Lee and Anthony Freedman trained Shoals stepped straight up to Group company and showed her class when surging to the line to win the 1200 metre sprint by half a length. Winning rider Mark Zahra was well pleased with the filly. “She goes pretty good,” he said. “It was a strong race and she knuckled down well. Shoals is likely to head to Sydney for The Championships. “She’s a very nice filly, beautifully bred and raced by two of my great friends and clients in John Messara and Jonathan Munz,” said Lee Freedman. Shoals was retained to race by her breeders Arrowfield Stud and Jonathan Munz and is the first foal of The Broken Shore, who was bought by Dean Hawthorne Bloodstock for $1.9 million at the Magic Millions Teeley Assets Dispersal in 2014. 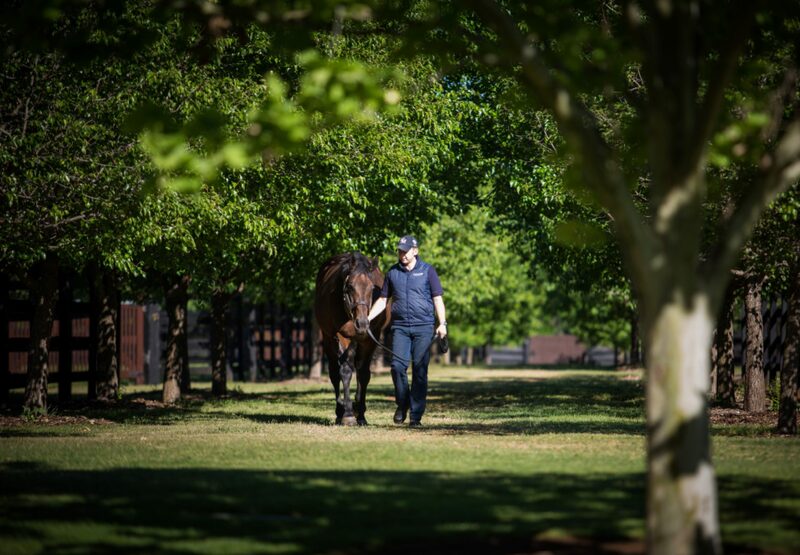 A metropolitan winner by Hussonet, The Broken Shore is a half-sister to Group I winners Redoute’s Choice, Manhattan Rain and Platinum Scissors as well as Group III winner Sliding Cube and stakes-winner Echoes of Heaven. Shoals is the 110th stakes-winner for Fastnet Rock and is his third juvenile stakes-winner this season joining Catchy and Formality.